Do you want to make your home more energy-efficient and ease your impact on the planet-saving a few dollars each month? Do you want to reduce your energy use and save on utility bills? Why not? A few simple steps would take you there. Especially, after we found out that utilities are the biggest monthly expense for an average American family, coming in third after the rent or mortgage payment and groceries, we’ve decided to provide some handy tips to help you with this, not an easy task. If you are in regions with extreme temperature shifts, this article will help you more, as heating and cooling your home can be among the most expensive part in your monthly bill. Stay comfortable at home reducing energy consumption and save money just following these awesome tips. When it comes to savings, first of you all you should take a closer look at what you have and what you can have for free. Using the sun’s energy is what everyone should pay attention to both during cold and hot weather. Let me remind you that during hot summer days we advised keeping curtains closed to help save on cooling. For fall and winter, it’s quite the opposite. Let the sunshine in and heat your rooms during the day. Keep curtains open, especially on that side of the house where you get more direct sunlight. If there are trees near the windows, trim the branches which can block the sunlight. At night have the curtains closed not to let the warm air escape from the window drafts. Insulation is really one of the main problems if you’re spending too much on energy bills. Fall is the perfect time to check and update insulation. Upgrade insulation for a minimal cost. Start from the attic, exterior walls, and basements. Make sure the access door in your attic is properly insulated as well. This will help not to let the warm air escape from there and save you a lot of money. Remember that the door should lie flat and not allow air to leak into the attic from inside the house. Spend some not huge amount of money in home improvement shops to get inexpensive insulation and cover up all areas at home where heat may escape. Heat will escape out of leaks around doors and windows if do not pay proper attention to this. 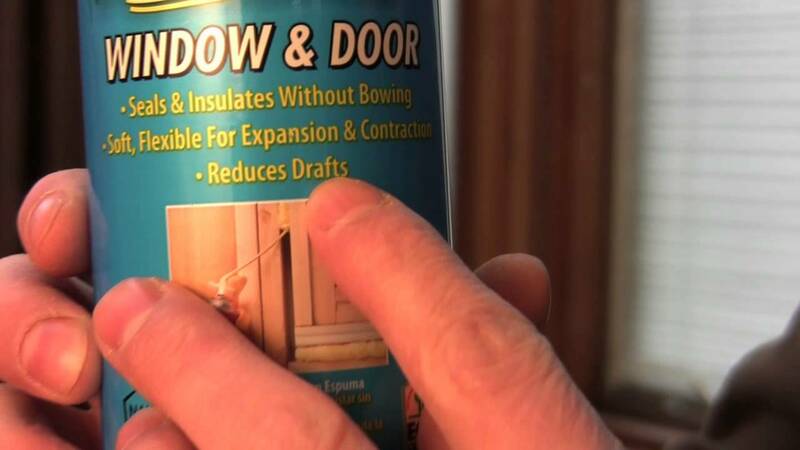 So add weather stripping and caulking around doors and windows. You can save up to 20% on your annual bills. Since what is needed for the material will cost less than $25. Try not to have any worn and torn weather stripping not to create drafts so that heated air could not escape and the cold air come in. In fact, weather stripping needs to be replaced every few years. It won’t take much time and special efforts. Also, don’t forget about electrical outlets. If there are leaks around them, get rid of these cracks as well. Now there are so many new eco-friendly and smart appliances that will save energy on their own. But they may cost a bit more expensive. If you’re on a budget, just try to use your current appliances efficiently. For example, do not load half full dishwashers and clothes washers. Pay attention to the temperature and the time of the program you’re running. When it’s possible, use cold water and go for short washing programs. Can you imagine, your washer will save up to 75% of the energy it needs. You know each of us has at least one computer at home, which is turned on the whole day, even if no one uses it. Set your computer’s power management features so that it goes to sleep when you don’t use it for 10 minutes. The same works for monitors and TVs. Plug off all electrical devices when possible not to have standby losses. The best way to minimize these losses is to purchase energy star products. See the next point. Energy Start Products are getting more and more popular each year. Whatever you’re considering to replace in your home, make sure to get products that have Energy Start label. For example, a furnace with an Energy Star label will reduce energy costs by up to 30%. Choosing energy efficient products also refers to light bulbs, appliances, and electronics. A new Energy Start labeled washing machine uses 50% less energy than a standard washer. Again, if you’re on a budget and can’t buy a new thermostat, you can just do some upgrades. Programmable thermostats are a great solution. They turn down the temperature when you sleep or you’re not at home. So, programmable thermostats cut down heating costs by 10% or more. If you want to go for more, get a smart thermostat and save up to 12% on heating bills and more than 15% on cooling. What you should do is only spend some time to manually set the right program according to your needs and lifestyle. When talking about preparing your home for fall, it’s really important to understand what you should pay attention to. In addition to some simple steps, we’ve provided in the article linked to above, you should also check your home’s exterior for energy saving purposes. Now it’s the best time to look for holes in your exterior walls. Pipes, gas lines and electrical cables enter your house leaving gaps around them. If you have filled them with some caulk, check it out and replace them or better seal the gaps with expanding foam as needed. This will help you not to let the cold outside air in and the heat air escape. Besides, these gaps are great ways for mice and insects to come in and cause harm to your house. Ah, this point is the easiest one. Instead of having higher temperature inside your house, just have some warm winter sweaters and socks. Wear them on, when you feel it’s a bit cool and takes off when you don’t need them. Add rugs and carpets to insulate the floor and not get cold. Another easy way to save on energy costs is to be careful with heating vents. Just do not let them be blocked by furniture or carpets and rugs. Keep your furnace and vents clean and unblocked and properly maintained to reduce energy consumption and save your money. When the furnace filters get dirty, make sure to inspect and replace them as often as needed. This will also help you save on heating bills. Even if you don’t like winter and cold weather, chances you like holidays are very high. We all love holidays and especially like to have our homes decorated for Christmas and the New Year. Use light-emitting diode or LED lighting to lower your holiday lighting costs. Decorative LED lights use 75% less energy and last 25 times longer than incandescent lighting. As LED lights do not emit that much heat, they make also safer alternatives. Unplug lights when you go to bed or leave the house. No need to let them draw power when you are not enjoying them. If you have a fireplace, keep its damper closed, if the fire is not burning. It’s like keeping a window wide open. If you don’t use it at all, plug and seal the chimney flue. If you use the fireplace have a hot-air exchange system to blow the heated air back to the room. You can also add caulking around the fireplace hearth.